So you're headed to the spring game? Cool. 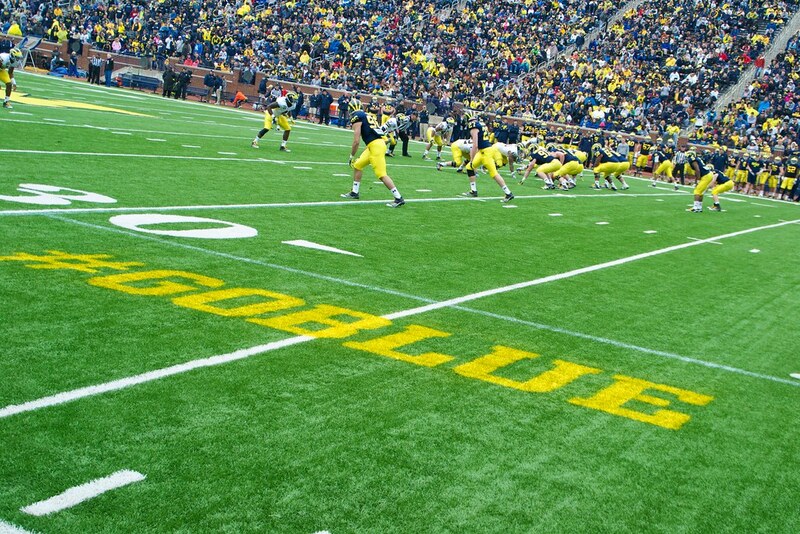 See you at the Big House around 12:15 for the "Victors Classic" alumni flag football game with the spring game to follow around 1:45-2:00ish. See the official mgopress release for the all the deets. Well, first off, it's not really a "game". But I assume we all know the drill by now. What you're going to see for roughly two hours tomorrow is a practice full of group drills followed by a scrimmage that may or may not very exciting. To call it a game is rather misleading. Honestly, I don't remember if it's ever been an actual "game". Also, for the Maize & Blue faithful wishing to get a peak inside the newly renovated Schembechler Hall, the Towsley Museum inside will be open for public viewing from 9AM-noon. Bring your cameras. This is sure to be a popular photo opp. Can't make it to the game? BTN has you covered with live coverage of the scrimmage starting at 2PM eastern. Interestingly, Matt Sheppard will be doing the play-by-play with Marcus Ray providing commentary. While the radio broadcast will be handled by Jim Brandstatter and Doug Karsch. Not sure if this is a sign of things to come, because as we all know Frank Beckmann has hung up his Wolverine mic at the end of last season.